The Minister of Works and Transport, Hon. Monica A. Ntege (center) with CAA Board, Management and stakeholders at the breakfast engagement. Hon. St. Alain Ange, the keynote speaker at CAA’s Stakeholders engagement breakfast held at Kampala Serena Hotel on December 6, 2018 emphasized the importance of positive visibility in promoting Uganda’s tourism potential. Highlighting the need for adoption of a comprehensive tourism strategy, Hon. St. Ange who is Seychelles former Minister of Tourism, Civil Aviation, Ports and Marine, applauded Uganda for the steps taken in expanding and upgrading Entebbe International Airport and ensuring the revival of Uganda’s national airline. “In order to have growth in passenger traffic at Entebbe International Airport, Ministry of Works and Transport together with Civil Aviation Authority (CAA) need to work together with the Ministry of Tourism in order to boost tourism in Uganda, which is a major economic backbone to the Airport”, he remarked. 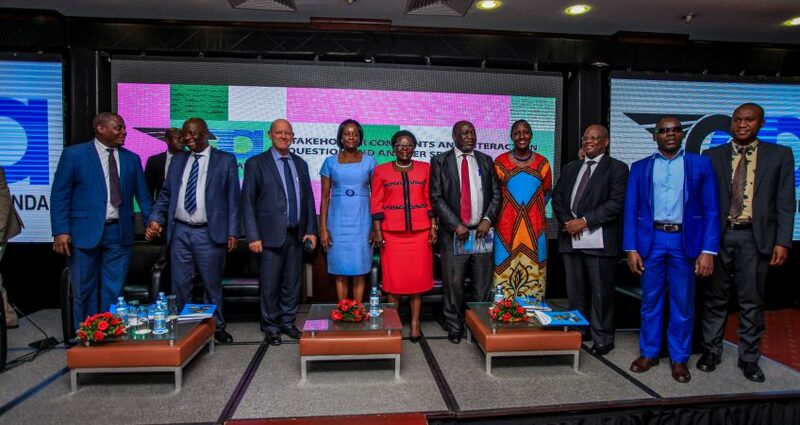 He emphasized that through promoting Uganda’s key assets, the country would become a household name world over making it a key destination in East Africa. The Guest of Honour, Minister of Works and Transport, Hon. Monica Azuba Ntege revealed that the Aviation week’s theme, “Working together to ensure no country is left behind”, highlighted ICAO’s efforts to assist states in implementing ICAO Standards and Recommended Practices (SARPs). She stressed that the main goal was to help ensure that SARPs implementation is better harmonized globally so that all states have access to the significant socio-economic benefits of safe and reliable air Transport. “Government is committed to implementation of all efforts aimed at ensuring growth of the aviation industry and revival of the National Airline is one such avenue that government has focused on to ensure further increase in the number of passengers coming in and out of Uganda,” Hon. Ntege stated. She urged air operators present not to look at the national airline as a competitor, but one that would complement their businesses through bringing in onward traffic that can be shared by existing operators in connecting to other destinations. She further disclosed that the national airline would open up more domestic routes and help to complete the tourism supply chain by joining other domestic operators in picking up passengers brought in by international air operators and conveniently connecting them to their tourism destinations upcountry. Speaking on behalf of the CAA Board Chairman, Eng. Mackenzie Ogweng extended appreciation to Hon. St. Ange for an inspiring key not address and noted that the CAA Board was cognizant of the important need for tourism, airports and airlines to closely work together. “Tourists will need transport (airlines), tourists will need an airport where they can land with the navigation equipment and all the facilities. We are in agreement with the gist of your speech and are working closely with our tourist board”, he affirmed. CAA’s Managing Director, Dr. David Kakuba confirmed that CAA’s close working relations with tourism authorities in Uganda was manifested in the fact that CAA had a senior manager on the Uganda Tourism Board. Dr. Kakuba, highlighted a number of achievements the Authority had registered in 2018 some of which included the fact that new Bilateral Air Services Agreements (BASAs) were signed with Canada, Israel and Switzerland and as a result EL AR Israel Airlines was expected to commence operations to Entebbe in 2019. 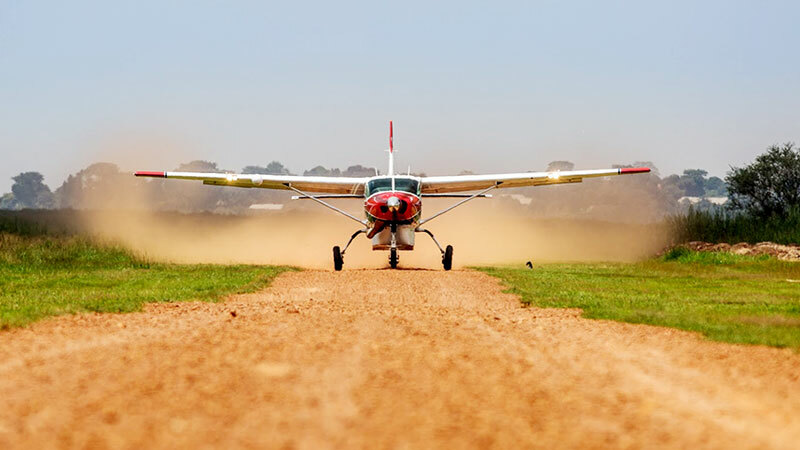 He added that CAA attained the much coveted ISO 9001:2015 Quality Management Systems Standard Certification and became only the third regional aviation body after Kenya and Tanzania to attain such certification. He also highlighted the fact that passenger traffic in and out of Entebbe had risen. The engagement was interactive with a range of questions from stakeholders that were responded to by the Minister of Works and Transport and Members of the CAA Board and management.